The PTI government decided to abolish subsidy on HAJ pilgrimage and increased the expenses. The decision to abolish subsidy and financial help has made the Haj more expensive. The Ministry for Religious Affairs had proposed to grant subsidy of Rs45, 000 to each pilgrim. However, the federal cabinet decided to end the subsidy and approved the Hajj policy 2019. Hajj expenses for the northern zone would be Rs436, 975 and for the southern zone would be Rs427, 975. The decision was taken during the federal cabinet meeting, chaired by Prime Minster Imran Khan, in Islamabad. This is over 60% increase compared to last year. In 2018, Hajjis from the northern zone paid Rs280, 000 and from the southern zone Rs270, 000. This is a 64 per cent and 63 per cent increase respectively. 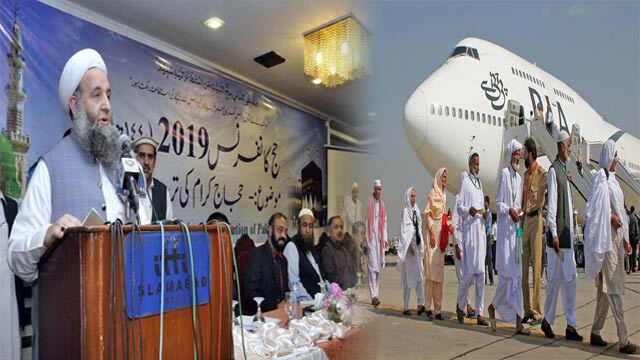 According to ministry of religious affairs, 184,210 Pakistanis would perform Hajj this year including the additional quota of 5,000 granted by the Saudi government. Applications would be accepted from 20 February, and 60 per cent of the quota would be given to the government and the remaining to private operators.